Moose is a big goofball who is certainly not lacking in personality! He doesn’t quite realize how big he is yet, but tries so hard to do what you want. He knows how to sit, stay, lay down, and shake (shaking is his favorite!). He LOVES to go for walks and car rides, and with a few corrections when he gets excited, he’s wonderful to take out! He’s been to downtown Blacksburg and made tons of new friends, but was also happy to take a nap while his people had dinner outside. With a slow introduction, he seems to be okay with cats and is good with kids and dogs of all sizes. He would probably do best with a yard to run around in, and would really enjoy having another canine friend to play with! Moose is around 80lbs and is estimated to be about 3 years old. Moose is recovering from a torn cranial cruciate ligament and is on strict cage rest until mid-November. He will need to be leash-walked only as he re-adjusts to activity, however he will likely require surgery to return to his bouncy self. 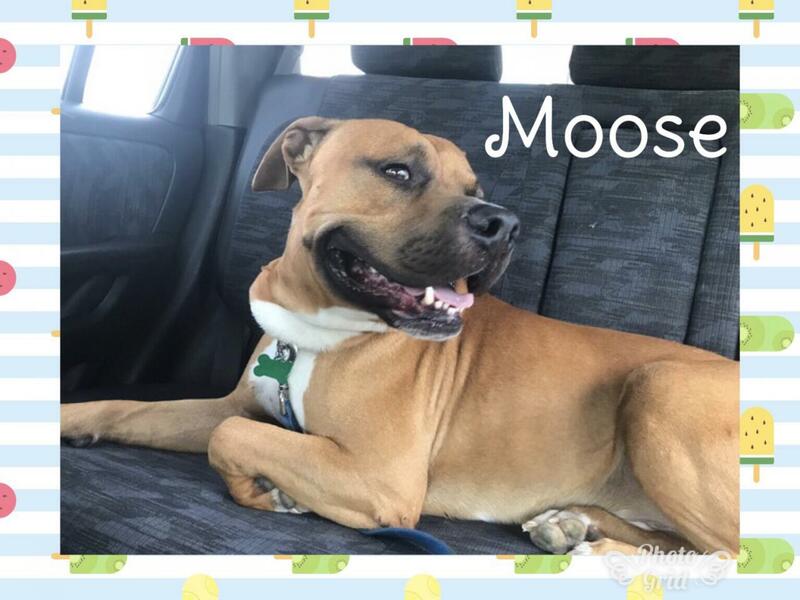 Conservative management is an option as well, however potential adopters should be aware it may not suffice in order for Moose to live a happy life. 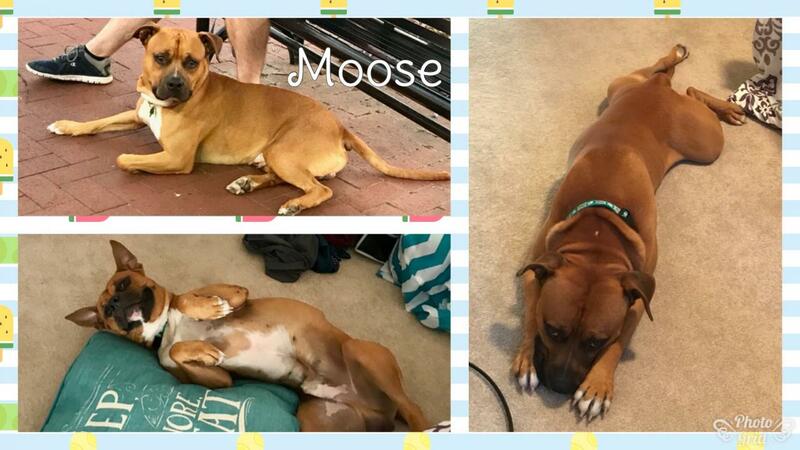 We would be happy to provide more updated information on Moose's recovery to any potential adopters - send us an inquiry if you are interested in this sweet dog!